Located in the heart of Menlo Park is a downtown featuring unique and upscale shops and restaurants. Set in a pleasant, pedestrian-oriented atmosphere, Menlo Park’s downtown area attracts locals and visitors alike. 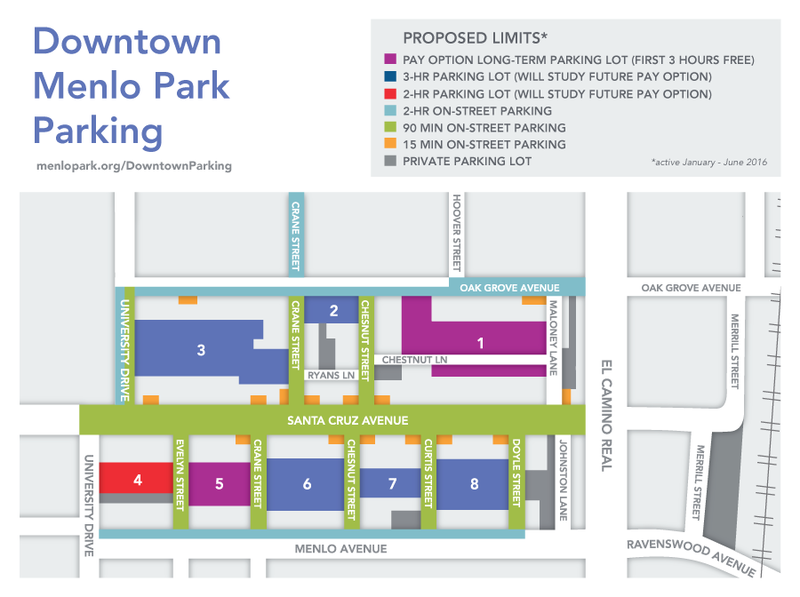 Free parking is available throughout downtown Menlo Park in public plaza or on the street. 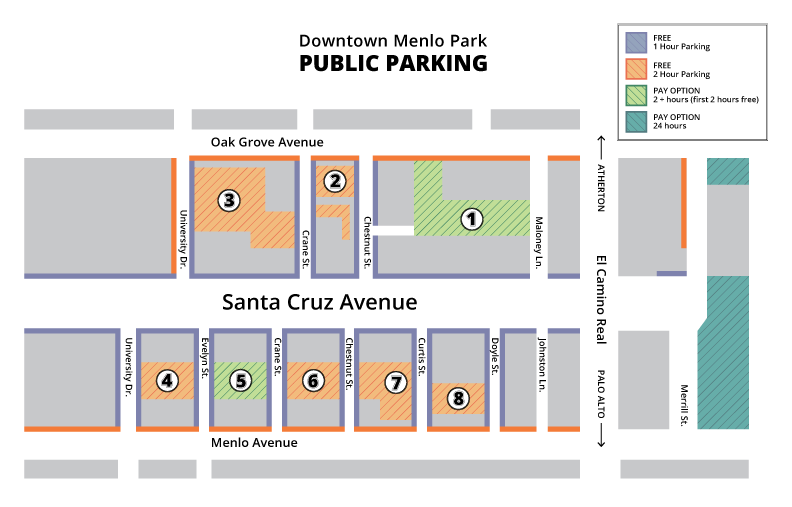 Public parking plazas are limited to 2 hours free parking. Need more time? Lots 1 and 5 offer a paid option for extended time. 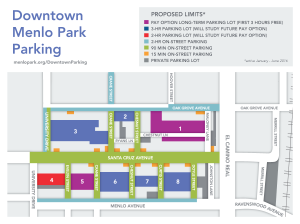 More information on downtown parking can be found here. We invite you to spend the day here visiting our shops which offer clothing and accessories, home decor, jewelry, art, toys, stationery and office supplies, pet supplies, books, and so much more! With options like Amici’s East Coast Pizzeria, Café Borrone, Carpaccio, Cook’s Seafood Market, Galata Bistro Mediterranean Grill, LB Steak, Left Bank, Le Boulanger, The Refuge, Round Table Pizza, Su Hong Restaurant, Subway, and Trellis, you will certainly find something to please every palate. In addition to shopping and dining, you can find a full selection of businesses and professional services including interior design, accounting, legal, medical, dental, finance, salons, and insurance right here, downtown.